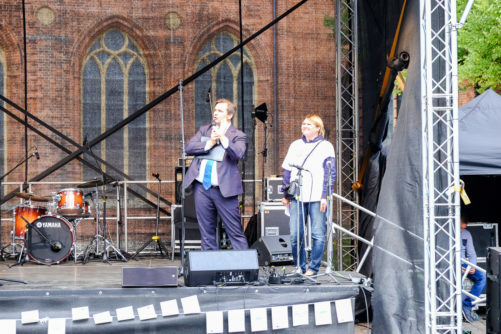 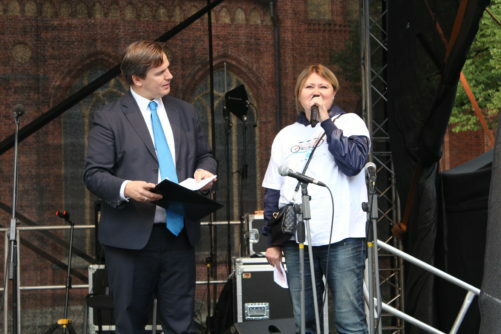 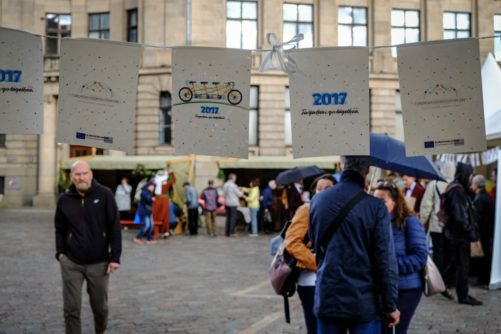 On 16 September 2017, Latvia-Russia CBC Programme joined forces with other cross-border and territorial cooperation programmes in organising an open-air event in the very heart of Riga to celebrate European Cooperation Day. 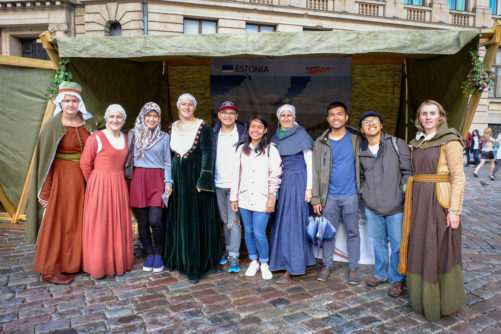 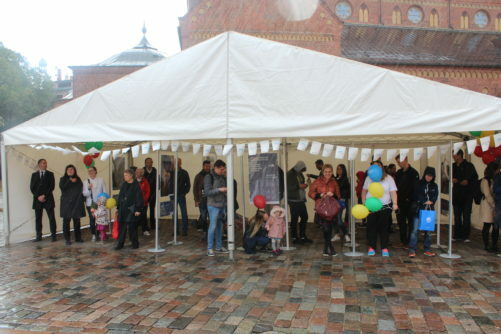 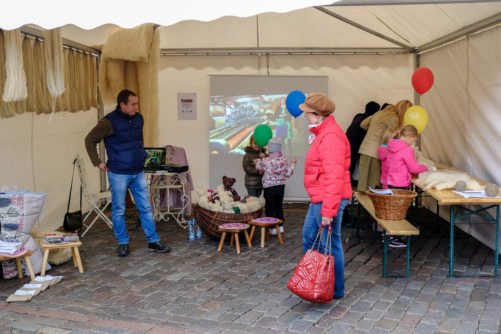 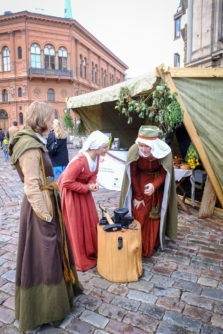 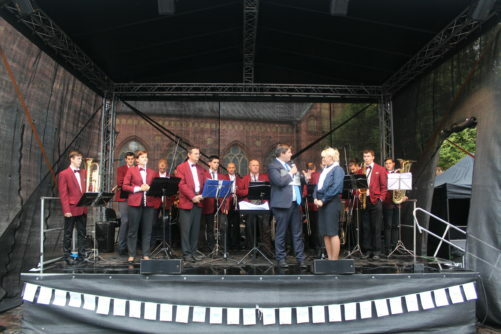 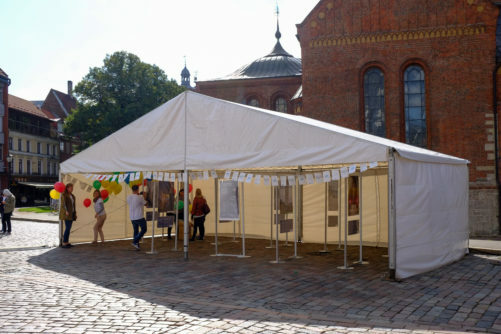 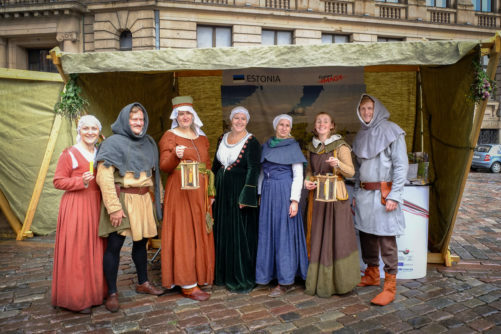 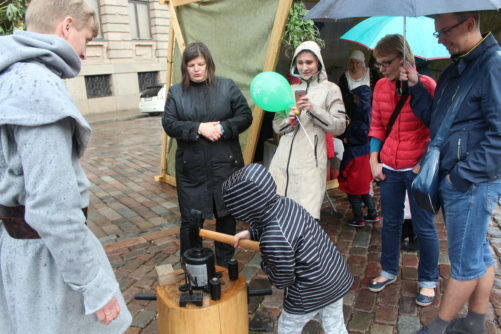 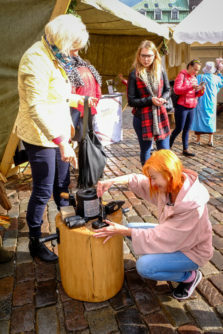 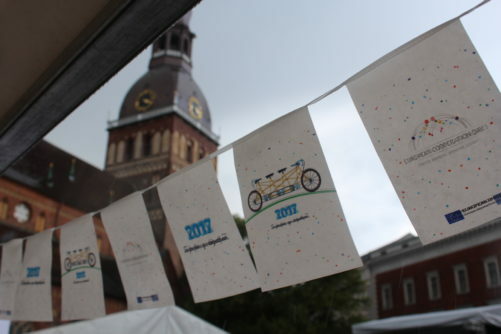 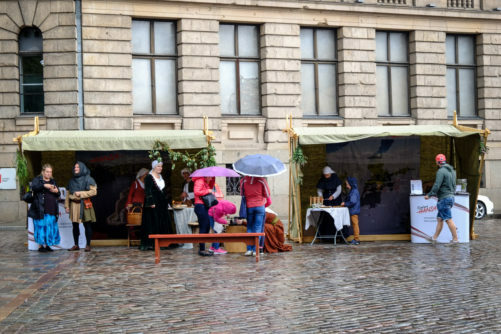 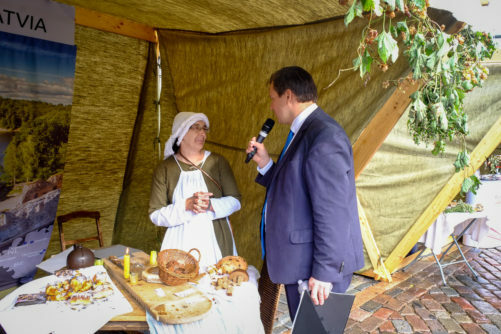 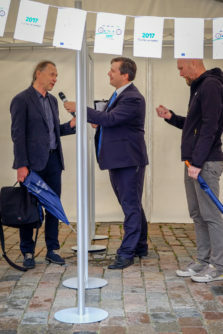 An interactive showcase of various projects supported by Interreg and ENI programmes took place on Doma square that helped people discover the benefits of cross- border cooperation in Latvia, Europe and on its external border. 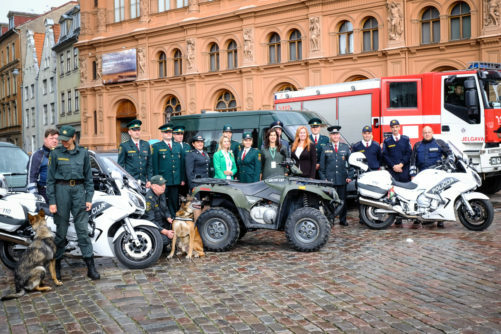 The visitors had an opportunity to see and test the equipment and machinery of State Police, State Board Guard and State Fire and Rescue Service that has been acquired as a result of their participation in cross-border projects. 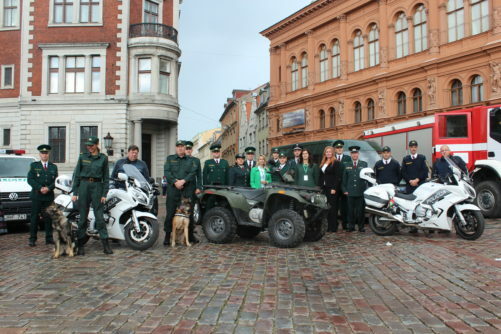 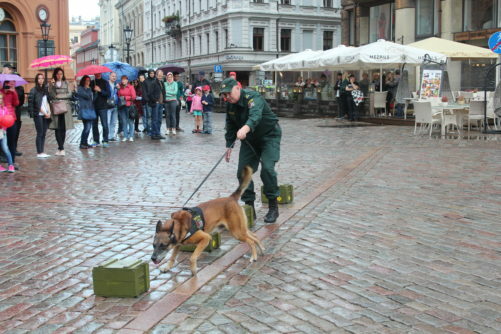 As well as see Latvian State Border Guard service dogs in action. 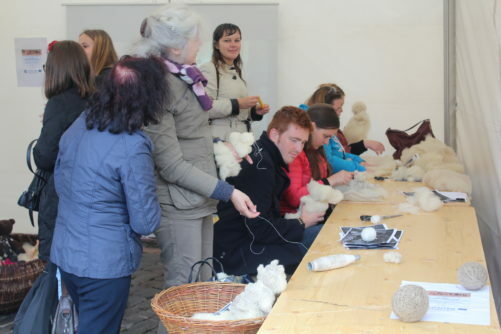 Likewise, wool recycling cycle with new interactive equipment was demonstrated and participants of the event had an opportunity to make dolls from yarn. 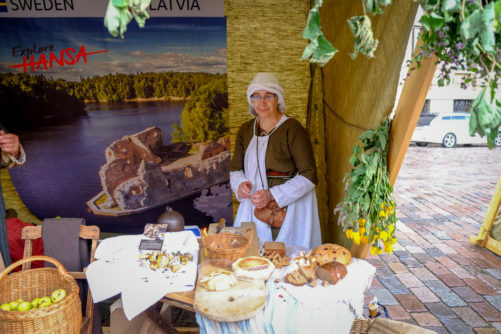 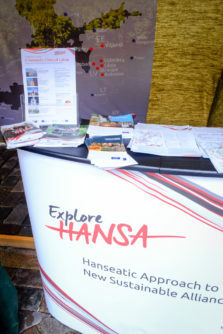 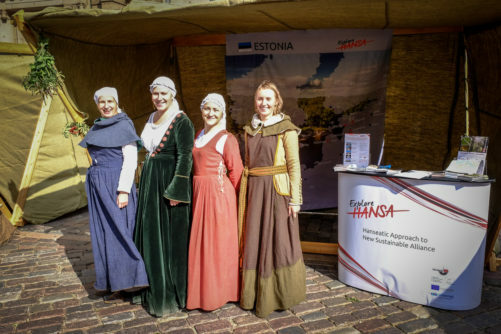 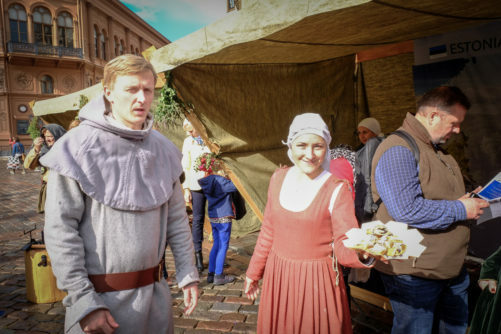 Four Hanseatic towns of Latvia (Cēsis, Limbaži, Straupe, Kuldīga) offered to try hand at some activities from Hanseatic times. 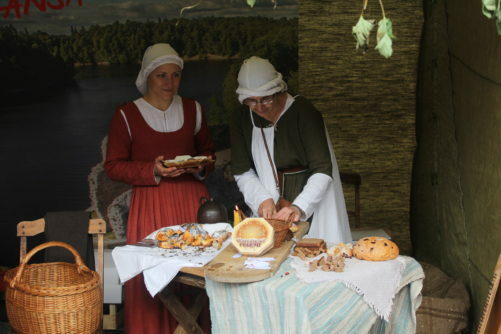 For example, making coins, learn candle making and taste some specialties from that time. 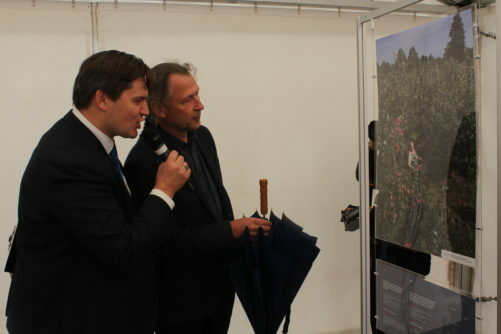 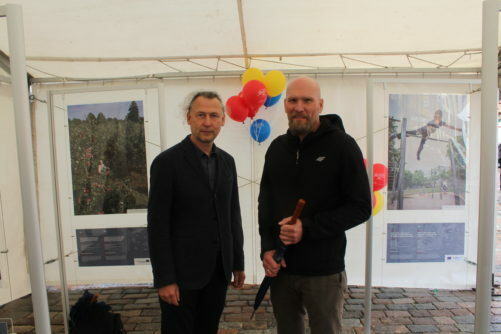 During the event, a photo exhibition by two famous Latvian photographers – Jānis Deinats and Ilmārs Znotiņš – was opened. 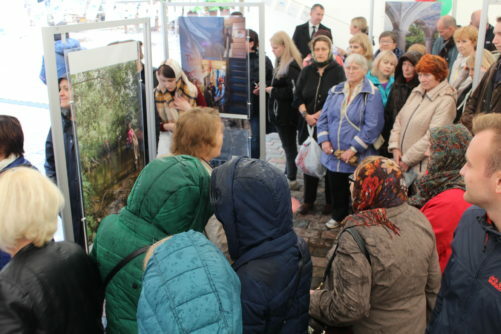 They visited various project sites in Latvia and captured the essence of projects through their artistic perspective. 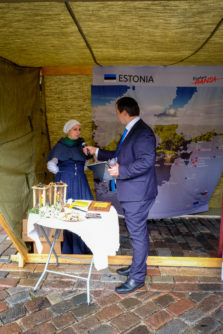 This exhibition supplemented with more project photos from Lithuania and Russia, will be exhibited at various events in Latvia and abroad. 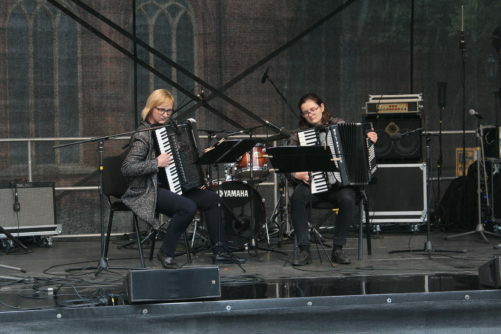 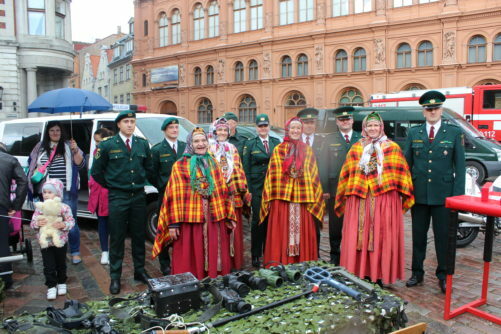 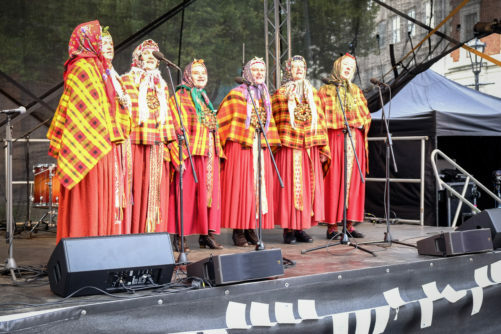 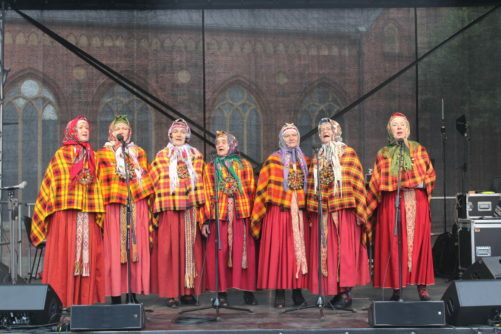 The event was complemented by live performances of Daugavpils Latvian Cultural Center Orchestra “Daugava”, accordionists of Limbaži Music School and “Suitu sievas” – Latvian folk singers that helped celebrate territorial cooperation by different music genres coming together. 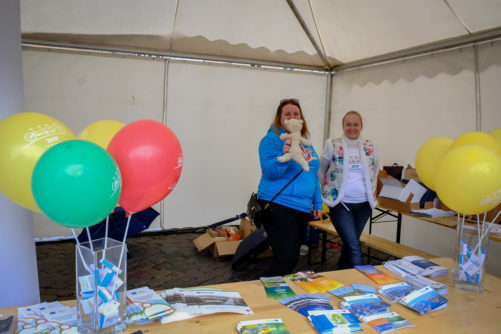 On 30 September 2018, Alexander III Chambers of Gatchina Palace hosted a joyful and colorful children’s Festival “Cross-Border Cooperation – Meeting Point of Cultures”. 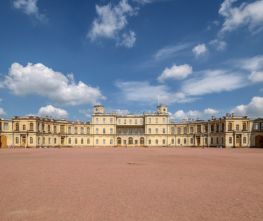 On 30 September, the Festival “Cross-Border Cooperation – Meeting point of Cultures” will take place in Gatchina Palace. 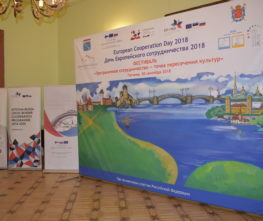 The events aims to introduce wider audience from St Petersburg and Leningrad region to achievements, benefits and opportunities delivered by cross-border cooperation. 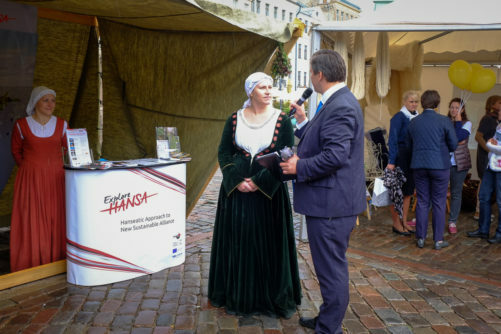 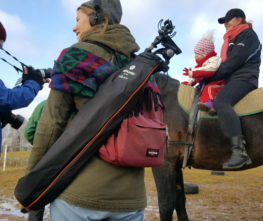 Latvia-Russia CBC Programme was awarded an honorable opportunity to join a long term campaign that is initiated by TESIM in the framework of the European Cooperation Day 2017. 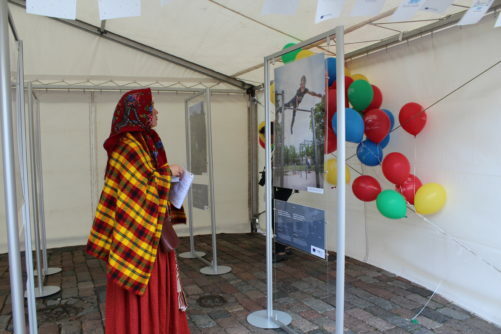 The aim of this campaign is to create a dialogue between young people on the reality of border regions and the importance of these regions, even those far from the external borders.